Discussion in 'True Spiders & Other Arachnids' started by Philth, Apr 22, 2014. 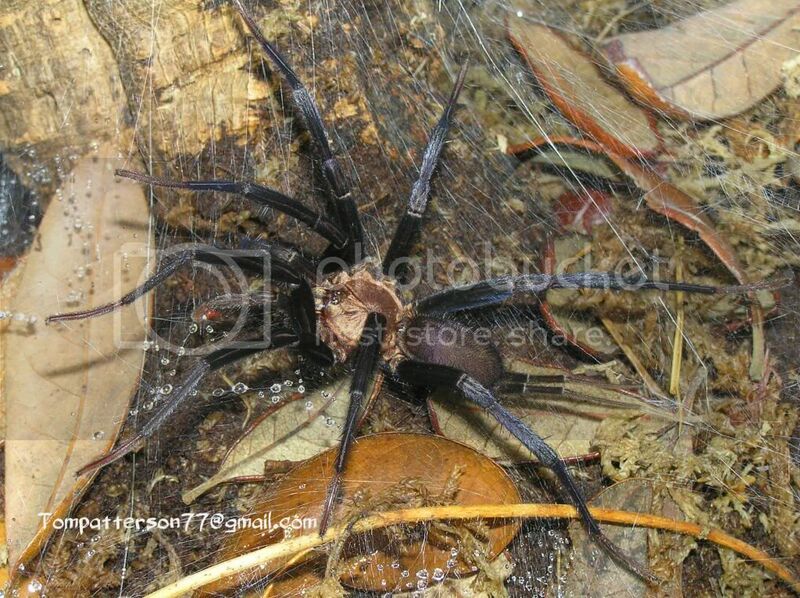 Not really a true spider or a tarantula ( whatever that means) but the genus Linothele is a Mygalomorph spider in the family Dipluridae, sometimes referred to as Funnel web tarantula. They have been sporadically available in the hobby over the years, but not in great numbers, and are rarely bred here in the U.S. My increasing desire to keep and breed these have inspired me to start a thread dedicated to the Linothele genus. I searched and couldn't find a similar thread. Awesome Thanks for sharing. Do they live about a year? Good looking spider thanks for sharing. They're so metallic! 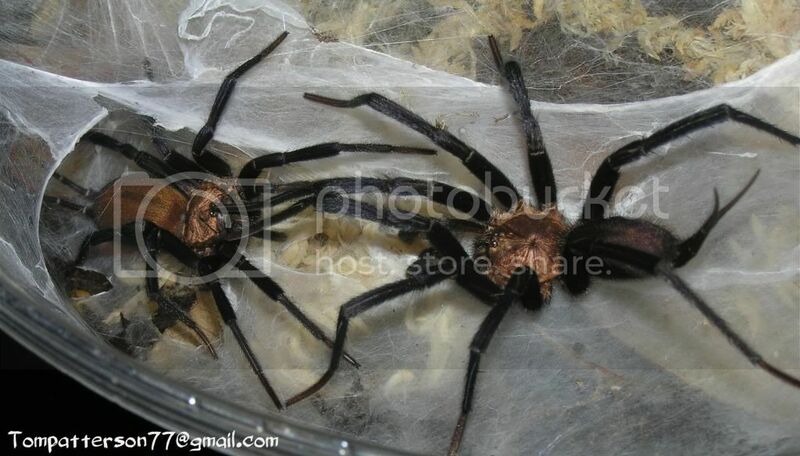 They look like little Ahkal-Teke horses...but in spider shape. Definitely going to have to keep my eye out in case I ever run into one. I haven't owned a female long enough to get a idea how long they live. It took about a year for me to raise a spiderling to a mature male though. I'd expect the females to live longer. Aw dang, you're making me want to get back to true spider breeding again, but I would certainly jump at the chance of having one of those for sure. 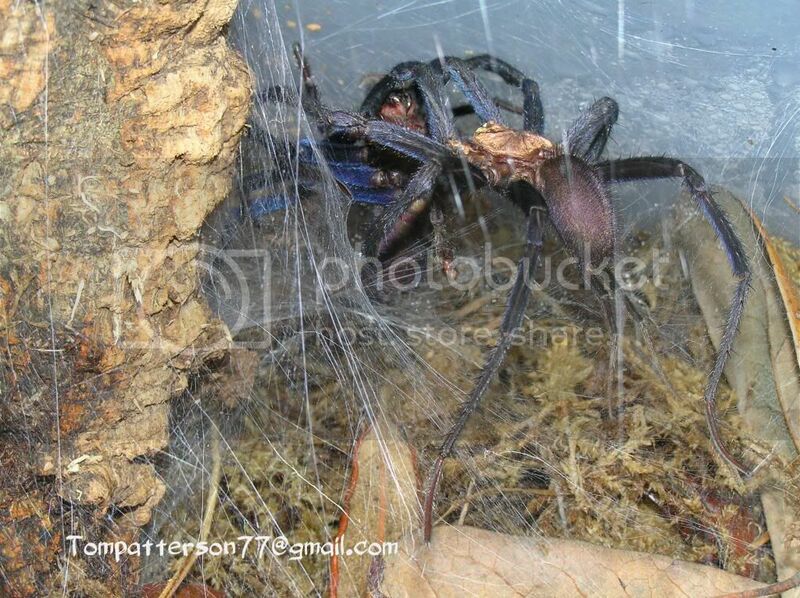 Diplurids and a few other non-tarantula mygalmorphs are at the top of my list. Thanks for reminding me why! Philth, I envy you! I have for a long time been interested in members of the family Dipluridae, but have yet to obtain even one! Thanks for starting the Linothele thread Tom!! I am also keeping L. fallax and L. megatheloides. Both species are easy to maintain, gorgeous, and lightning quick!! Great spiders! 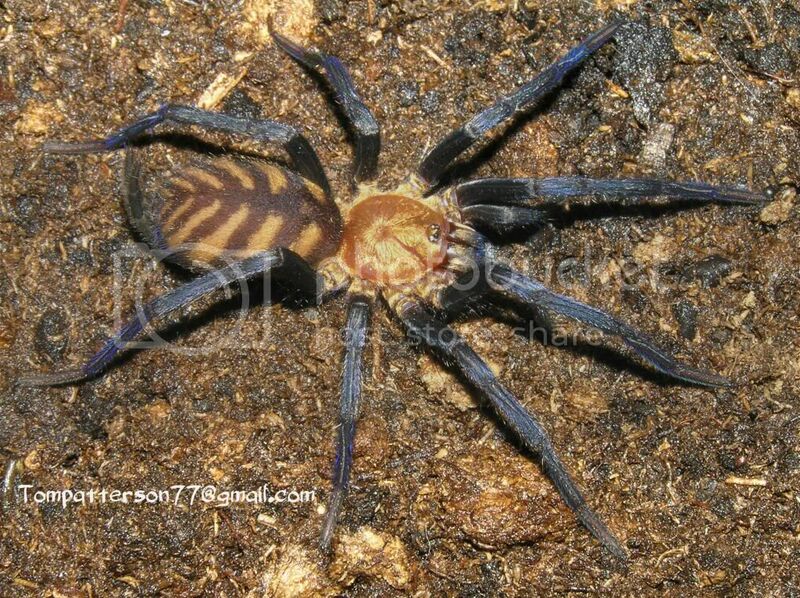 Wow, those spinnerets look like short legs! Yes! A topic for my favorite genus. At this moment I have 0.2.0 Linothele curvitarsis, 0.1.0 L. fallax and 0.1.6 L. megatheloides. 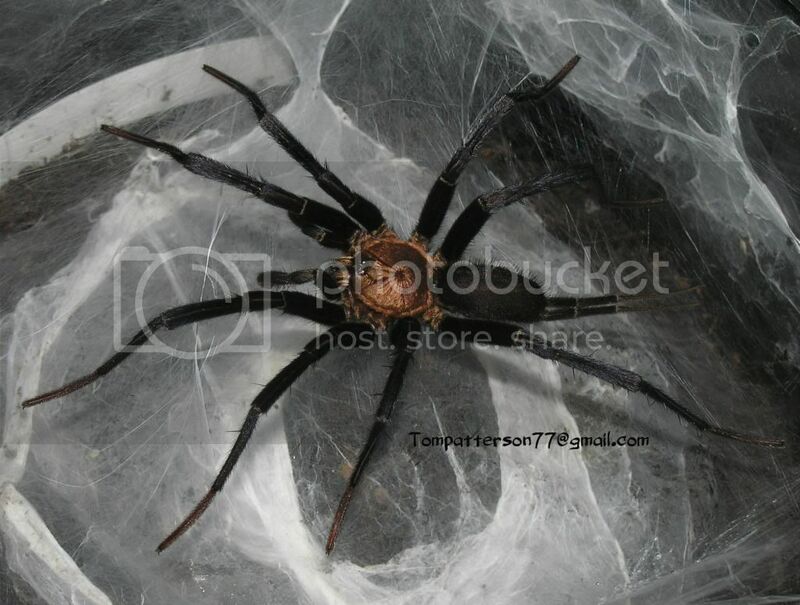 Looking at these pictures made me realise again how much I like these spiders, but also how little I know about them. 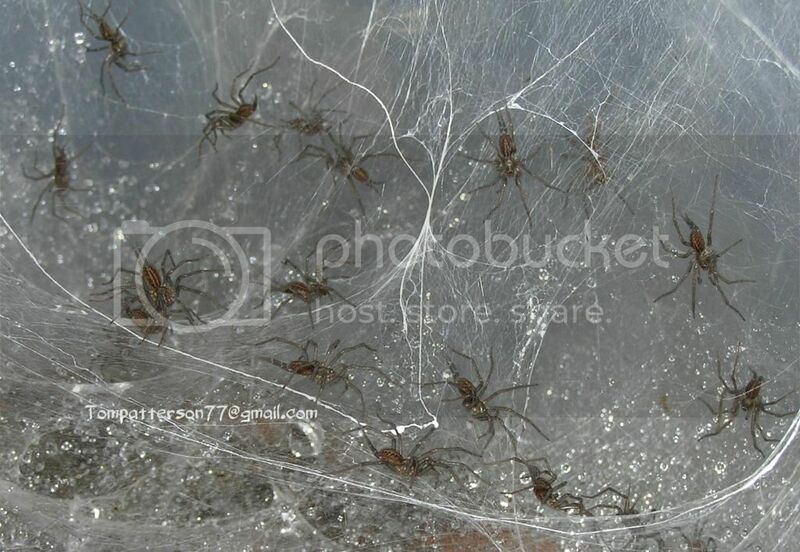 They are fast and great webbers, but I don't know how much eggsacs they lay, if they take care for them or just hang them in the web, if females keep on molting after becoming adult/fertile. In case of L. curvitarsis I also don't know how big females will get. I had one male (2nd picture) and two 'females' from about the same size. Tried to mate them, but at the day the male died I found old skins from both 'females'. They are visibly larger now, and might have some more growing to do. Now I hope to find another male soon. L. megatheloides is relatively easy to obtain in Europe, L. fallax more difficult and L. curvitarsis I have only seen a few times so far. 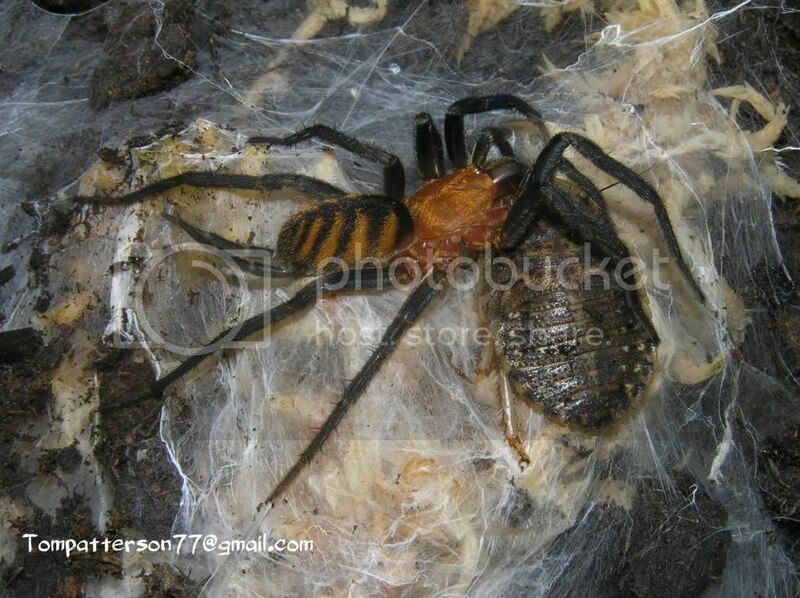 She doesn't carry anything, most of the time she is half in/out her retreat - without eggsac. Unfortunatly. Congrats on this - well done! What instar are these beauties? 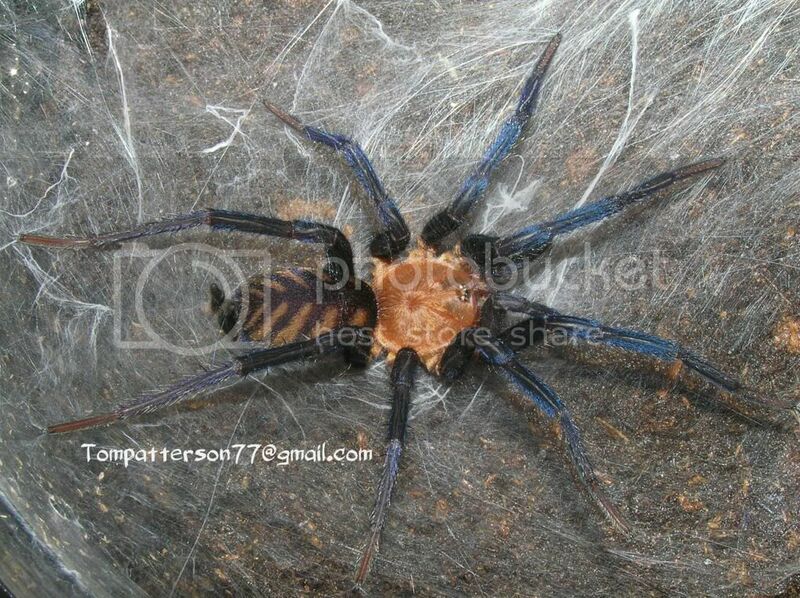 They already have such striking colouration, and those gorgeous long spinnerets! They're 2nd instar, just started eating. Nice size for 2nd instar, about 1 inch already. That's one lovely looking brood. Congrats!